File sharing has become commonplace, but for many people it’s an activity that still takes place primarily through web browsers or app extensions. That doesn’t have to be true because you can share files straight from your desktop, at least on a Windows PC. While the specifics, and cost, vary from one option to the next, these clients can all handle large files (or many small ones) with ease. 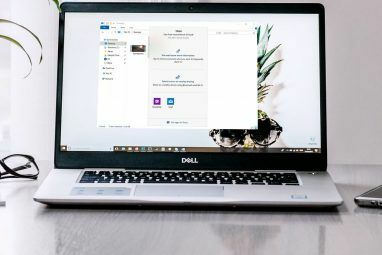 Last time we took a serious look at file sharing from the desktop, Dropbox was only an up-and-comer DropBox: Review, Invites, and 7 Questions With the Founder DropBox: Review, Invites, and 7 Questions With the Founder Read More . Since then, the service has solidified itself as the default option in the minds of many users, and for good reason. This service was one of the first to offer the app and one of the first to go cross-platform, making it an easy solution for everyone. The client, once installed, places itself in your Documents folder and syncs with your Dropbox account, which of course makes file sharing easy. In addition, a right-click on a file or folder in the Dropbox directory provides some important file sharing options, the most notable being “Share Dropbox Link.” This copies a link to your clipboard which you can share with anyone to provide access to a file. Dropbox offers at least two gigabytes of storage for free (there are ways to increase that limit). Additional storage is available for a monthly fee that starts at $9.99 for 100GB. This is a bit expensive, but Dropbox has strong cross-platform support via great apps for Android, BlackBerry, iOS, Mac OS X and Kindle. It’s arguably the easiest service to use overall. Microsoft’s cloud service, formerly known as SkyDrive, has come a long way over the last few years and is now a fine alternative to other stand-alone services. Everyone with a Microsoft account has access to the service. If you are using Windows 8.1, OneDrive is already fully integrated 5 Smart Ways to Customize & Improve OneDrive in Windows 8.1 5 Smart Ways to Customize & Improve OneDrive in Windows 8.1 OneDrive can be a blessing or a curse. It's deeply integrated into Windows 8.1. You'll either want to get the most of it or disable it completely. We can help with both. Read More into your system. Otherwise you need to download the desktop client to access your files directly from Explorer. Once installed, the app works a lot like Dropbox and can be found in the same location. There’s a OneDrive context menu option that lets you open the file in a browser view or share it with others via a link. However, you must have your browser opened to share the link, which is less convenient than having a link shared automatically to your clipboard. On the other hand, Microsoft gives you a lot for your money (or lack thereof). A free account has seven gigabytes of storage and a paid account can grab 100 gigabytes for 50 dollars annually, a reasonably competitive rate. Microsoft offers cross-platform support via apps, but in my experience they feel a bit clunky, particularly on Apple’s platforms. There’s no native app for BlackBerry. On the other hand, OneDrive is the way to go if you have a Windows 8.1 How To Keep Your Files Synced With SkyDrive In Windows 8.1 How To Keep Your Files Synced With SkyDrive In Windows 8.1 Storing data remotely and syncing them across devices has never been so easy, especially if you're using Windows 8.1. SkyDrive received a significant update, improving its integration with Windows and adding interesting new features. Read More , Windows Phone or Windows RT device. Box has never been as high-profile as Dropbox, but it offers very similar functionality and 10 gigabytes of space for free, the second best dedicated cloud storage of any free service. The client works like the others. Once installed it shows up in your User folder and provides a context menu with sharing options. Like Dropbox, the Box app will generate a link and copy it directly to your clipboard for easy file sharing. Unlike the other apps, though, Box has a control panel that lets you turn syncing on or off and change the Box directory. On the downside, Box is a bit expensive once you pick a paid plan. You’ll have to hand over $120 a year ($10 a month) for 100 gigabytes of storage. 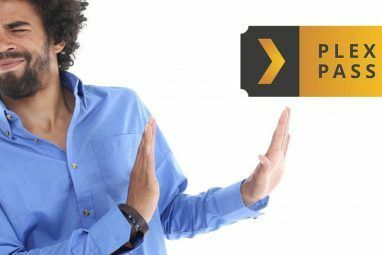 Box has broad cross-platform support. Besides Windows, there’s also an app for Android, BlackBerry, iOS, Mac OS X and Windows Phone. The apps have received positive feedback, making the service a strong Dropbox alternative for users with many different devices. It took awhile, but Google Drive received a desktop app in 2012 A Look At Google Drive, Google's Long-Awaited Cloud Storage Service A Look At Google Drive, Google's Long-Awaited Cloud Storage Service After more than 6 years of rumors and a long-ago cancellation because "files are so 1990", Google Drive is finally here. Coming with 5 GB of free storage space, a Dropbox-like desktop sync client, and... Read More . In theory, it’s supposed to actually work like an Office suite, as it provides links that will automatically open a new document, spreadsheet or presentation in Google Documents. However, you can ignore this entirely (just delete the shortcuts) and focus only on storage. Once again, the app installs a directory in your User folder, and in that directory you can use context menu options to access file sharing. This being Google, though, there’s integration that lets you share directly with other Google users in your contacts. You can also manage document access or generate a link. Drive offers fifteen gigabytes of storage, but it’s shared between all of your Google services – Gmail, Drive and Photos. The amount you have access to for Drive may end up being more or less than other services, depending on how you use Gmail and Photos. Paid plans are extremely competitive, starting at $1.99 per month for 100 gigabytes of storage. Google Drive provides decent cross-platform support – the iOS apps are surprisingly good. 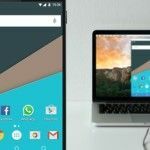 There’s no app for BlackBerry, Mac OS X or Windows Phone, however, so users of certain devices will find Drive uninviting. MediaFire is another elder of the cloud storage world that’s always been active, if not necessarily the most high-profile choice. What makes the service different from others is that certain audio and video media files open automatically in a browser player when you share them via a link, which makes this service particularly suited for sharing media – as its name would suggest. Otherwise, the app works much like the others, installing in the User directory by default and offering context menu options. You can open files or folders to view in a browser or share via a link copied to your clipboard. Unlike the others, though, MediaFire installs a system tray utility with notifications and sync status – handy, but not really necessary. I also must say that I found it a bit buggy in my testing, as it crashed several times. Your mileage may vary. Free users currently receive twelve gigabytes of storage. However, the 200MB file size cap on free accounts means you can’t share certain kinds of files easily, like full-length HD videos. Also, the download pages generated via link are ad-supported. Paid plans start at $2.49 per month for a full terabyte, which is extremely competitive. MediaFire provides mobile apps for Android and iOS. A Mac OS X app is available, too. They do the job, but feel a bit clunky compared to Dropbox and Google Drive. There’s no app for BlackBerry or Windows Phone. Though it’s not out yet (in a release form, at least), Apple will soon equip its own cloud storage service Which Is The Mobile Cloud Option For You? iCloud vs. SkyDrive vs. Google Drive Which Is The Mobile Cloud Option For You? 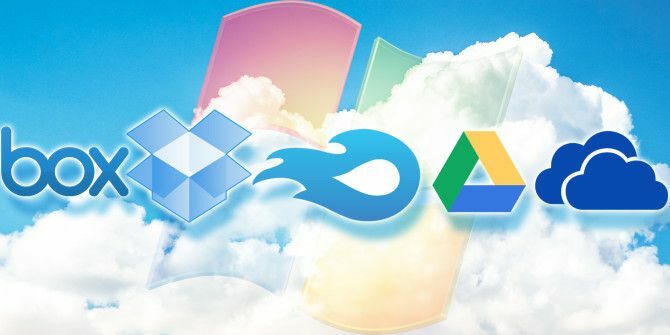 iCloud vs. SkyDrive vs. Google Drive It seems the cloud is hard to escape these days - both in your daily tech life, and on websites such as ours. Only last week I wrote an article about cloud-based PowerPoint alternatives, the... Read More with an app called iCloud Drive. It will provide five gigabytes of free space and will sync between Mac OS X and iOS devices using software built in to each operating system. Apple promises there will be a client for Windows, but no support has been announced for any mobile platform besides iOS. These five options are, in truth, extremely similar, yet you’re probably wondering which is best. Most users only need one, after all. The answer depends on a variety of factors, but, personally, I feel that Dropbox and Box have the lead. These two services are notable because they offer a strong web interface, great cross-platform support and can generate links directly to your clipboard. Box provides more storage How To Get The Most Free Space On Dropbox, Box, SkyDrive & More - The Complete Guide How To Get The Most Free Space On Dropbox, Box, SkyDrive & More - The Complete Guide Cloud storage services offer a minimum amount of free space to everyone who signs up, but you can often get more. You can upgrade your cloud drive with gigabytes and gigabytes of free space in... Read More , but Dropbox has higher file size limits. Google’s Drive is also a very strong contender, but its lack of broad platform support is a problem. Still, any of these services could work. Which have you chosen for your desktop, and why? Explore more about: Dropbox, File Sharing, Google Drive, Microsoft OneDrive. Box - sharing minor stuff, like PSD and text files. Mediafire - for cold storage of files. like for files that are hard to find or when I don't recall where I downloaded it from. Dropbox - it was my 2nd before Box (got the 50GB promotion), the screenshot is handy. and I don't want to install stuff like lightshot again. Copy - I still don't know what to do with it. C - Some Of Them Delete Your Backups After Some Inactivity - Some Of Them Without Warning You, Either Before Or After The Fact. Anyway, My Main Backup Is A Small Group Of Scripts. Because Of Its Smallness I Have Used More Than 100 Free Services To Backup Them. I Only Use Services That Require A Password And Allow The Browser To Do Both Uploads And Downloads - Meaning I Do Not Use Services That Require Any Local Proprietary Software To Manage Them. Even With The Cons Stated On Top, I Believe Some Of Them Will Survive Me. what about copy.com and SurDoc ? Earlier I was using dropbox but now my primary is OneDrive, its so simple to use ! dropbox is secondary. Box, Google drive, Mega, MediaFire - Tried all & have an account too ! I like Dropbox better, because it could be use with Linux OS too. This is the one I have been using a few years, and I'm a very satisfied camper. You don't write over the safety of my docs etc. google is the bad choice! You forgot surdoc. Dropbox definately the best of the bunch. So... The apps and Desktop app are in Chinese. But, you can point your browser to http://mprtech.tumblr.com/post/61130002513/10-tb-cloud-storage-tencent-weiyun-now-in-english and get a quick install to translate most of the Chinese to English. User “IM0001? over on XDA Developers has one available that’s translated with Bing Translate for you to experiment with. I don't speak (or read, or write) a lick of Chinese, but I've been able to stumble around well enough to set everything up, and utilize the service from both my desktop, as well as my Android device (Samsung Galaxy Note II on Sprint - rooted, but otherwise stock). Dropbox, OneDrive and Google Drive. Those are my primary cloud services. I don't like metro version of OneDrive in my windows 8.1..
You forgot MEGA. I prefer that over microsoft or google's coluds. Look the service provided by these companies. See how much less space provided by these cloud services such as 5 GB, 7 GB etc for free. For those who do want to spend any penny go to http://www.mega.co.nz , provides 50 GB and full synchronization software.